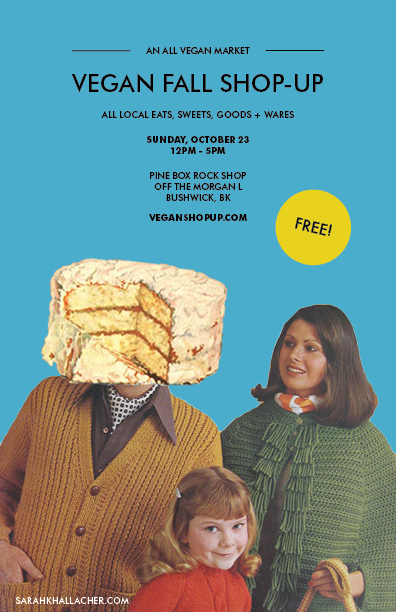 Come on out to the Pine Box Rock Shop in Bushwick for a wonderful assortment of local, vegan goodies & crafts on Sunday, October 23! I’ll be there selling herbal extracts, teas, dental care goods & more. Do you have a pile of old Halloween costumes in the corner of your closet? Or maybe you’ve been wearing the same Halloween costume every year since 1999. 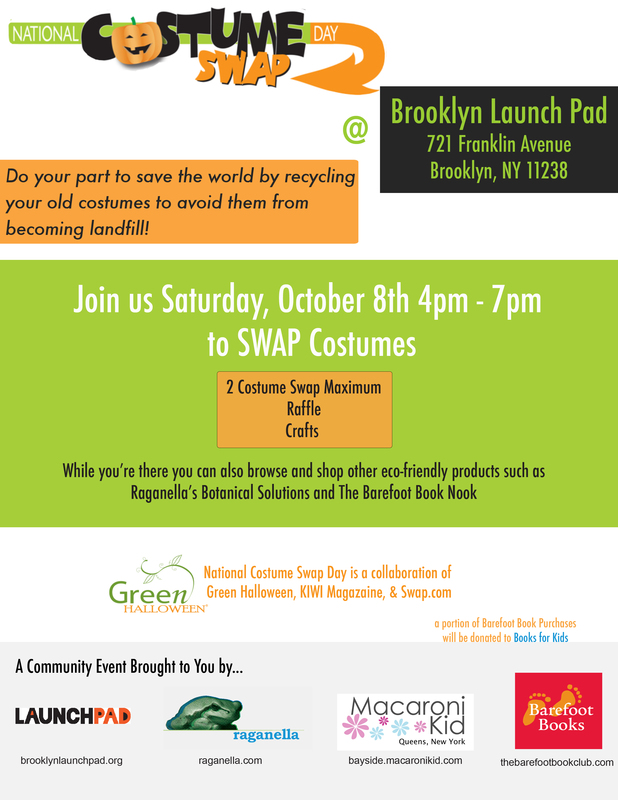 Perhaps it’s time to trade in that Sponge Bob Square Pants get-up for something “new.” On Saturday, October 8, I’m co-hosting a Halloween Costume Swap at LaunchPad. Bring a costume or two (kids’s costumes, too!) and find someone (or something) new to be this Hallow’s Eve. Happy Fall! Sure, the weather will be cooling down now that we’re on the other side of the Autumnal Equinox, but things will be heating up for Raganella next month. Here’s a rundown of what’s up in October (plus, a taste of November). 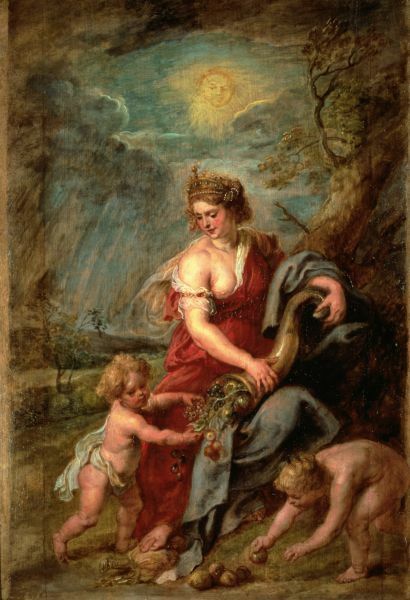 It may be one of the largest examples of turning trash into treasure. Where there once was (and I guess technically, still is) a landfill is now a sprawling meadow – a nature preserve and soon-to-be recreation area with views of the city skyline. 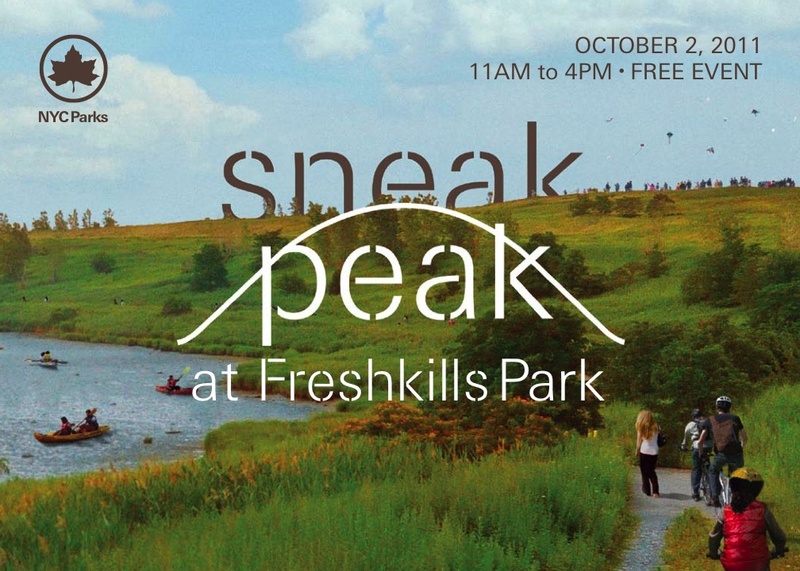 At 2,200 acres, Freshkills Park on Staten Island will be 3 times the size of Central Park. It’s not officially open to the public yet, but once a year the parks department opens the gates for a Sneak Peek. It’s a rare opportunity that should not be missed! FREE WATER TAXI SERVICE and FREE SHUTTLE BUSES will operate regularly between the St. George Ferry Terminal and the event site. BY PUBLIC TRANSIT Take S62 Bus to Victory Blvd and Glen St. Walk down Beresford Ave to Wild Ave.
BY BIKE Enter at the corner of Wild Ave and West Shore Expressway East Service Rd. BY CAR Parking is available at Wild and Beresford Aves, near the Victory Blvd Exit of the West Shore Expressway and south of the Showplace Entertainment Center. Pssst… Here’s a video I posted a couple of years ago when the park just began being developed. UPDATE: This event now starts an hour later – 2 pm – making it more of a lunch than a brunch. It’ll still be great! Jimmys No. 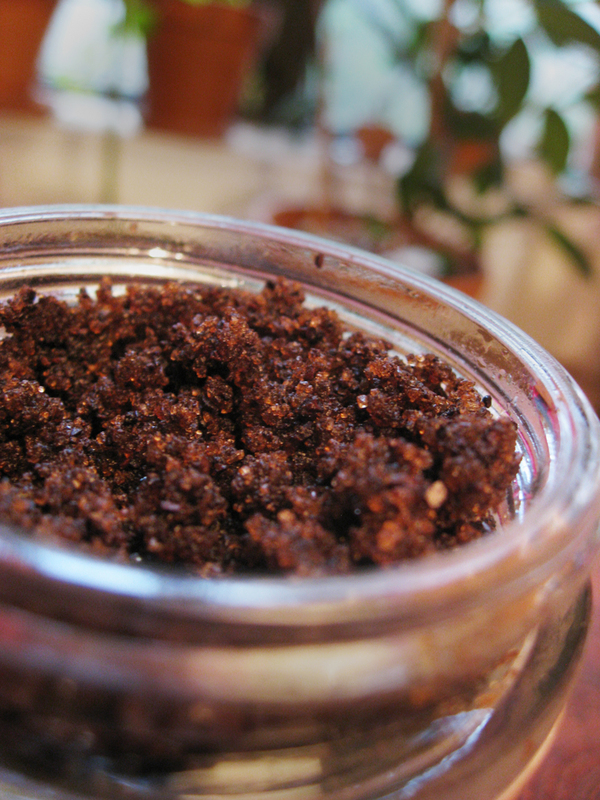 43 is launching a brunch menu on Sept 17th, 2011 and we are coupling the local-fare focused brunch menu with a Homemade Market that promotes locally made products and small-scale business men and women by providing a vibrant market place to sell their locally made food items, handicrafts, cosmetics, body care, home care, and art! • NYC Hot Sauce Co. Among our featured events for The Homemade Fare: Market & Brunch, we have coordinated a Grilled Cheese and Pickle Party and an Ice Cream and Beer Social. We plan to coordinate a Cider and Apple Celebration, Pumpkin and Squash Costume Party, Thanksgiving Brunch + Market, and a Holiday Hoedown. You are currently browsing the Raganella blog archives for September, 2011.